HomeCurrent TopicsLuxembourg Public Transport is Free government announced latest news. 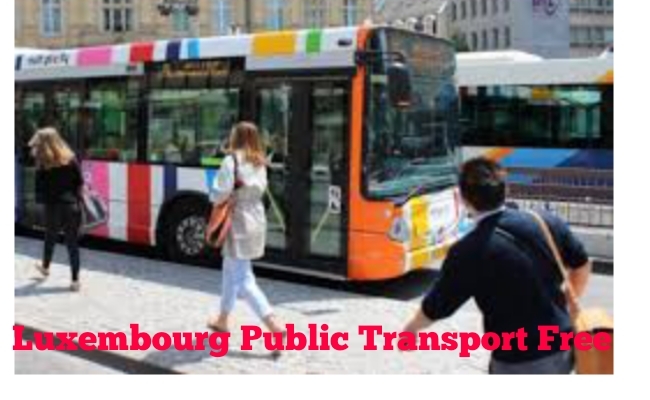 Luxembourg Public Transport in news because of free service to people. It will be first country to do so. 2018 years gift by government of Luxembourg to citizen. It is a small landlocked country in Europe (western). It’s capital is Luxembourg City. Luxembourg has neighbour country like Belgium to the north and east, France to the South, Germany to the east. Luxembourg is a founding member of the European Union, United Nations, OECD, NATO and Benelux. Luxembourg is famous for low tax. Recently in Luxembourg coalition government is formed. After the coalition agreement Luxembourg announced public transport free. It is the first country to introduce free public transport made headlines across the globe. Why Luxembourg in News ? Luxembourg is set to become the 1st country in the world to make all it’s public transport free. Fare on bus, trains, treams will be lifted. The free service will start from 2020. Senior citizens were already free in Public Transport. It has population about 110000 people but 400000 commute into the city to work. According to the study drivers from Luxembourg City spent an average of 33 hours in traffic jam 2016. The country has total 600000 inhabitants out of 2 lakh people living in Germany, France and Belgium cross the border every day to work in the Luxembourg. Transport ministry of Luxembourg said it will cost 491 million euros a year to run free public transport system. Tickets sale will loss of only 40 million euros as already transport prices are less in Luxembourg. The union of Luxembourg men transport expressed that the move of government would lead job loose fear. If nobody was needed to sell ticket. Such type of step is taken by Luxembourg country other nations like India and Pakistan can’t do as they have high fiscal deficit and high population. So this was the comprehensive article on free public transport of Luxembourg.